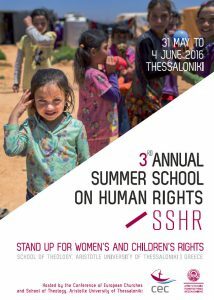 The Conference of European Churches, in partnership with the Theological School of Aristotle University, organized the 3rd Annual Summer School on Human Rights “Stand up for Women’s and Children’s Rights!” from 31 May to 4 June in Thessaloníki. Other main speakers: Dr Fulata Mbano-Moyo, World Council of Churches programme executive for Women in Church and Society and Rev. Dr Patrick Schnabel, a European legal advisor for the EKD (Evangelical Church in Germany), representatives from NATO, European universities and many CEC Member Churches and Organisations in Partnership. Among issues related to women’s rights participants discussed human and organ trafficking, sexual exploitation, working conditions and pay, an equal level of education and progress in the work place, arranged marriages and female genital mutilation. The situation of women and children was highlighted and discussed from legal, theological, and practical angles. In many cases, women and children are discriminated or denied their fundamental rights, such as the right to food, shelter, education, access to health care, participation in society and so on. 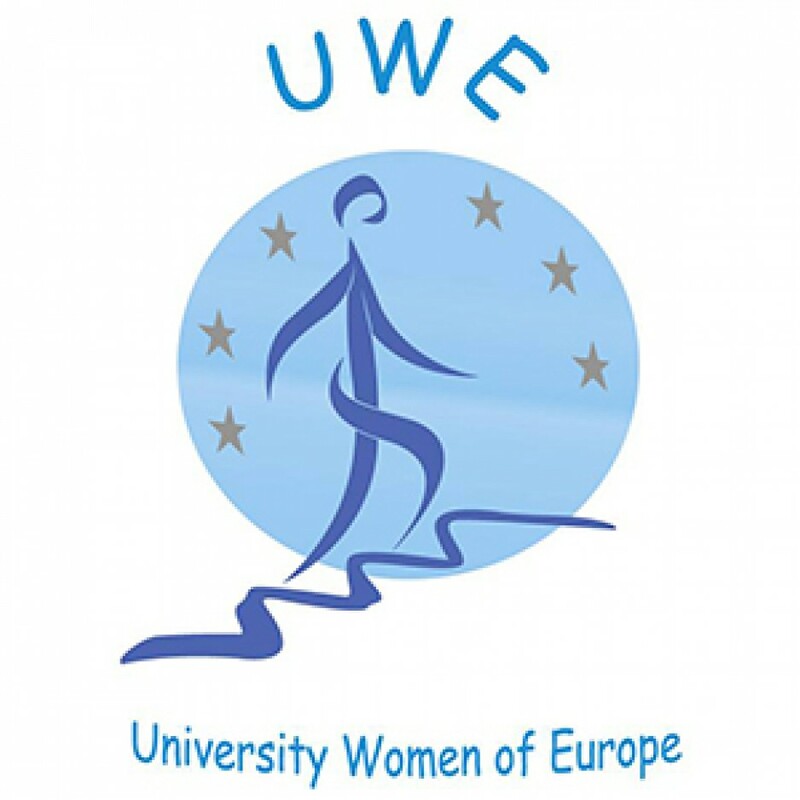 In some European countries one of three women are victim or a potential victim of different forms of violence, including sexual violence and harassment. Children often face various types of violence and abuse on a daily basis, including bullying in schools. With regard to refugee women and children, the situation is direr still. 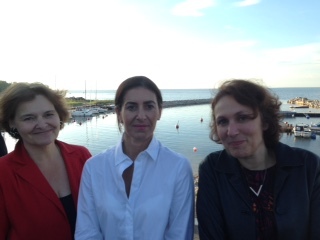 This entry was posted in INGO and tagged Anne Negre, Summer School on Human Rights. Are religions a place of emancipation for women? On 21 st of June, Human Rights Comittee at the Council of Europe will host a side-event moderated by Gender Expert Anne Nègre, Conference of INGOs. On June 22, a discussion will be opened on the subject, same place, same hour. On June 20, with the participation of the local group of AFFDU, a day in the town on « Sexism and Racism ». Anne will talk about sexism in communication. Introduction Elena Centemero, Italian Parliamentarian, Chairperson of the Committee on Equality and Non-Discrimination of the Parliamentary Assembly of the Council of Europe. Closing Gulsun Bilgehan, Turkish parliamentarian, Former Chairperson of the Committee on Equality and Non-Discrimination, Chairperson of the Media and Information Society sub‑committee of the Parliamentary Assembly of the Council of Europe. This entry was posted in INGO and tagged Anne Negre, ARE RELIGIONS A PLACE OF EMANCIPATION FOR WOMEN?, Council of Europe, gender expert INGOs CoE, human rights comitee. As you may know, Nadia Savchenko, an Ukrainian parliamentary, member of the Parliamentary Assembly of the Council of Europe is in jail in Federation of Russia since June 17, 2014, despite the parliamentary immunity. She is accused of directing mortar fire that killed two journalists. Her trial has been described as a farce by the EU and by the US envoy to the UN. Demonstrations in support of the 34 years old Nadia took place in some Ukrainian cities. On March 4, in protest against the proceedings of the Russian court, she announced a full hunger strike, refusing even liquids. On March 11, at the Parliamentary Commission of equality and non discrimination of the Parliamentary Assembly of the CoE, Anne Negre, gender expert INGOs CoE together with Ms. Svitlana Zalischuk, Ukrainian parliamentary , Mr. Kronbichler, Italian parliamentary , Ms Ana Birchall, Romanian parliamentary, Ms Elena Centemero, chair, Italian parliamentary , Mr. Jonas Gunnarsson, Sweeden parliamentary, Mr. Jean-Pierre Grin Hoffman, Czech parliamentary have expressed their support to obtain her freedom as she is weakened. More than 9,000 people, including Nobel prize-winner Svitlana Alexievich from Belarus, have signed an open letter iniatied by Ola Hnatiuk, a Ukrainian / Polish intellectual, historian and writer urging European leaders to take action to secure the pilot’s freedom. 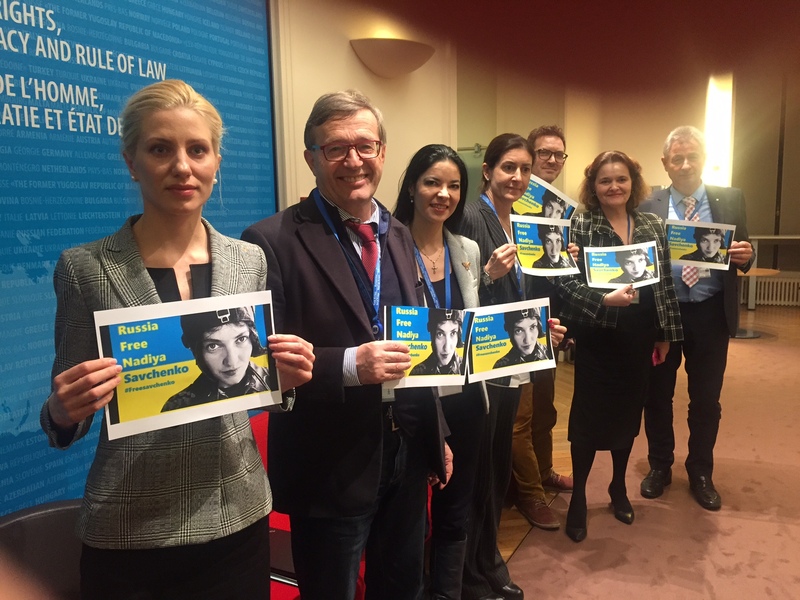 Let’s show our support and sign here the online petition: Free Savchenko! This entry was posted in Uncategorized and tagged Anne Negre, gender expert INGOs CoE, online petition Nadia Savchenko, Parliamentary Commission of equality and non discrimination of the Parliamentary Assembly of the CoE.